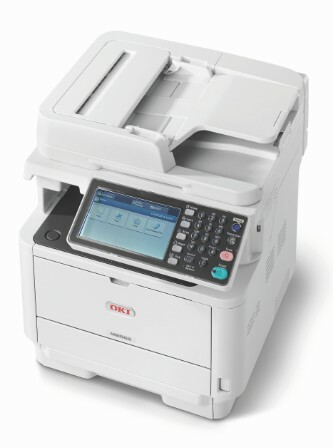 Three printers and three multifunctions were launched by Oki this month: the B412dn, B432dn and B512dn (printers) and MB472dnw, MB492dn and MB562dnw (multifunctions). Using Oki's LED technology, these devices are based on the B431 and MB471 print engines which have been updated both in terms of the hardware (more powerful print controller) and the software. All these machines are compatible with Apple AirPrint protocols and also support Google Cloud Print - allowing users of both iOS and Android smartphones to print without downloading specific applications. Finally, another outstanding innovation is the new 7-inch color touch screen on the MB492dn and MB562dnw. It is smaller than the screen on the MB700 range (to keep the machine compact), and the customization features can help make it quick and easy for users to set up jobs. All these devices technical specifications AND sales arguments will be on Your DMO very shortly.